So once again, Trump strikes a deal in good faith and put the ball in the left’s court. 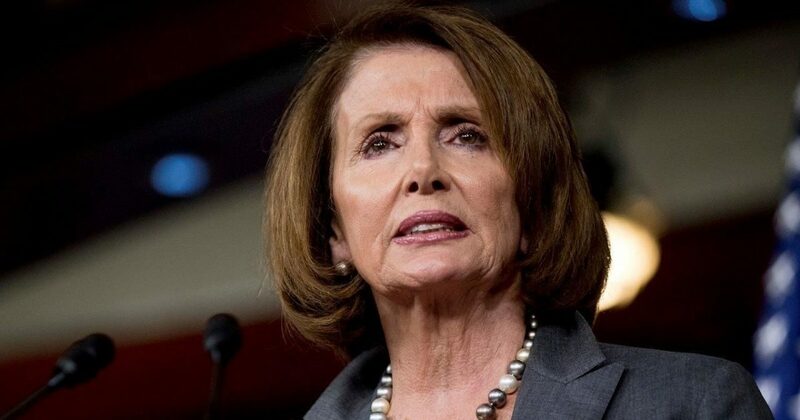 Already, Speaker Nancy Pelosi is going back on her word. It seems we have an on-again, off-again relationship brewing with the State of the Union Address. One minute, it’s happening. The next minute, Pelosi says the House can’t welcome Trump until the government reopens. As we pointed out earlier this week, Pelosi is down right delusional. She believed she could silence the President by cancelling his SOTU speech. She even dressed it up in a fancy letter faking a desire to cooperate with President Trump. But we all know Pelosi is a snake. She has no intentions of cooperating with the President. If she did, the shutdown would have ended weeks ago. Further, it would of never happened to begin with. In fact, Pelosi didn’t even bother to read some of Trump’s proposed compromises, even though the majority of the country reported to believe Trump’s proposal was a great starting place for negotiations. But low and behold, Trump worked to put an end to the shut-down, despite the lack of bipartisan cooperation. Trump signed a temporary deal that will reopen the government for three weeks, during which time funding for the wall can be worked out. And while the mainstream media boasted the compromise is a Pelosi shutdown, they failed to consider one thing. Trump plays the long game. And this is a short term fix aimed at facilitating compromise. The genius behind Trump’s move is that it proves his willingness to make a bipartisan effort. Now, the democrats will be solely responsible for their inability to create a permanent solution. 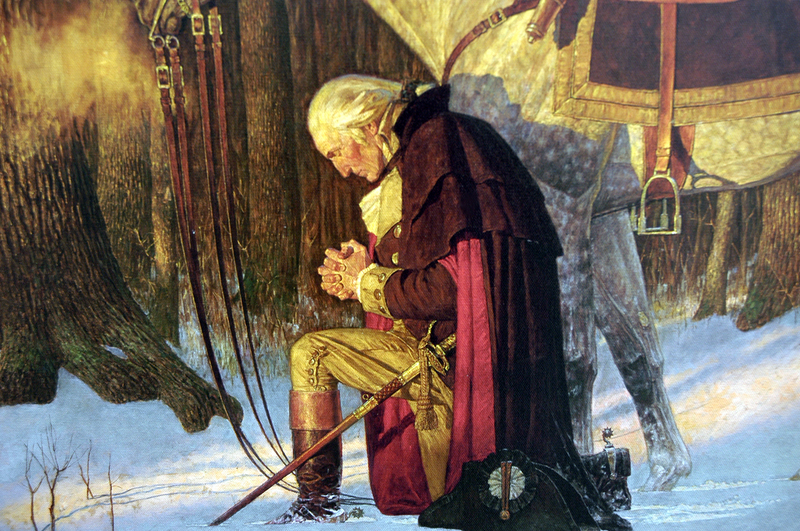 However, if we can’t even continue with traditions such as the SOTU Address, how in the world will there be a compromise for border wall funding? Nancy’s next move should be an invitation to President Trump. It’s time for the State of the Union Address. 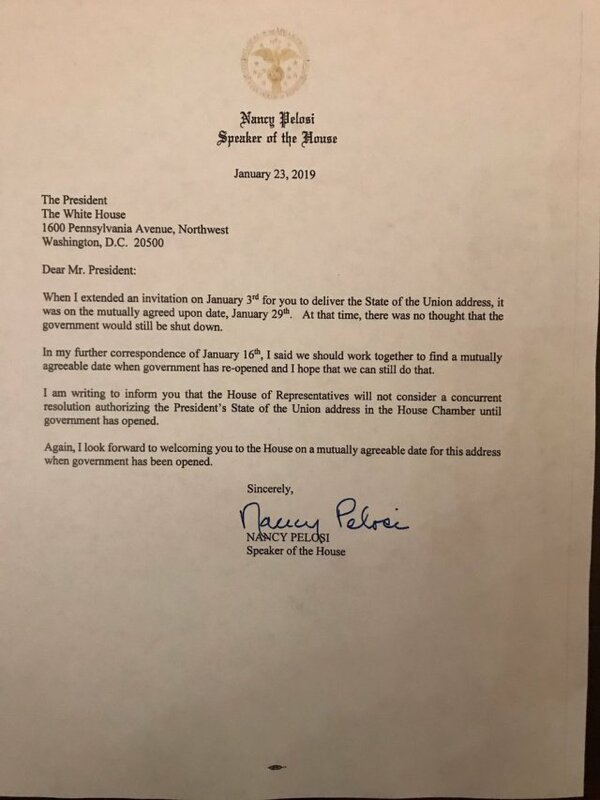 However, Pelosi made it clear that she has no plans to host the State of the Union address. Considering Nancy’s track record, it’s no surprise that she would go back on her word. Honestly, I think Trump is on to something. He knows the real reason Nancy won’t budge. Pelosi doesn’t want to hear Trump’s speech because it’s hard to ignore the truth when someone tells it to your face. Eventually, Trump will address the nation. As we’ve pointed out many times, Trump doesn’t need the media to get his message out. He communicates with his base like no other President in modern history. And if Pelosi thinks she can silence the President, she’s clearly delusional.